How’s your day this morning? Hope we heard great as well. There is another event will be launched this month. The closest agenda of ASEC (Actual Smile English Club) in its support to develop youth skills on international conference participation and academic writings. 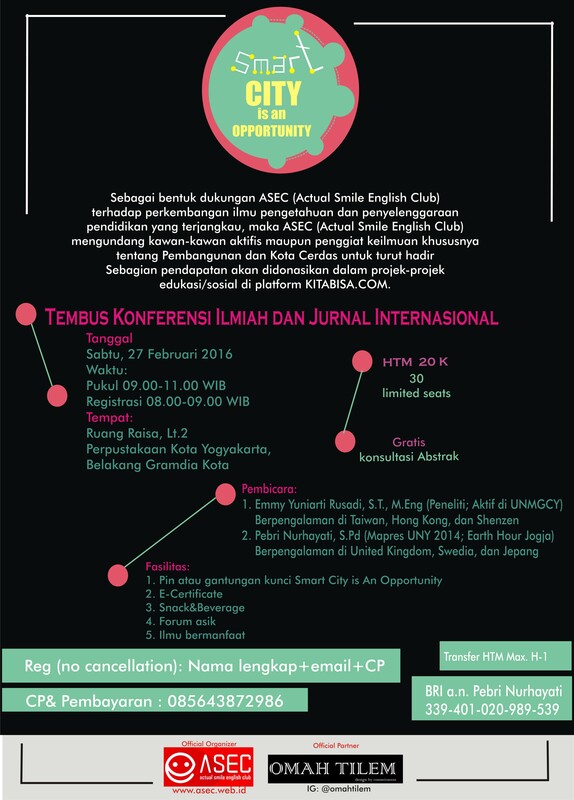 Please kindly to join that event which make you excellent!